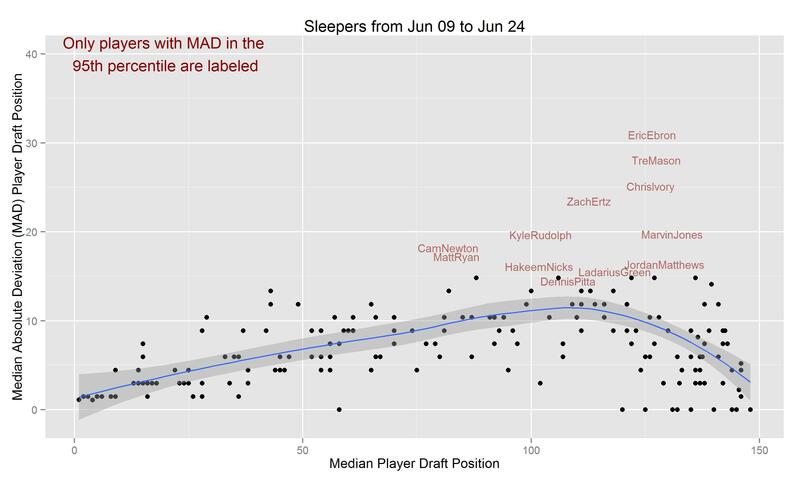 In order to statistically identify sleepers, we must first define what we mean by a “sleeper”. Using the definition from NFL.com, a sleeper is “a late round pick…who exceeds his statistical expectations and becomes a prominent [fantasy player]“. 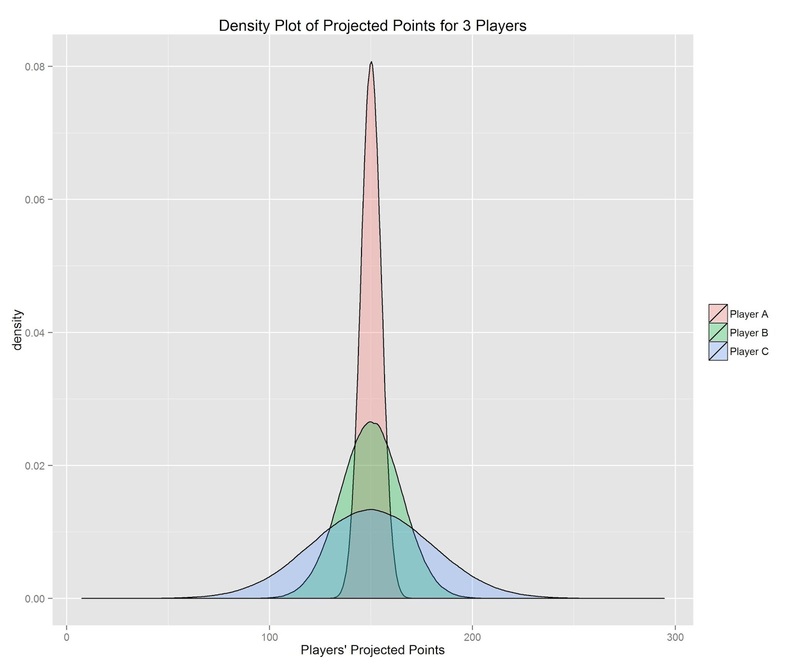 Thus, we want to identify players who are likely to exceed their statistical expectations and have a breakout season. The post Identify Sleepers in Fantasy Football using Statistics and Wisdom of the Crowd appeared first on Fantasy Football Analytics.